The House by John Mayer is a spellbinding legal mystery, a tale that features the clash of two powerful personalities, but a clash with far-reaching reverberations. Brogan McLane is a well-respected lawyer in the highest courts of Scotland, a man who sprang from humble origins in the Calton neighborhood in Glasgow. A well-placed politician is about to destroy this community with nothing, it seems, to stop him. 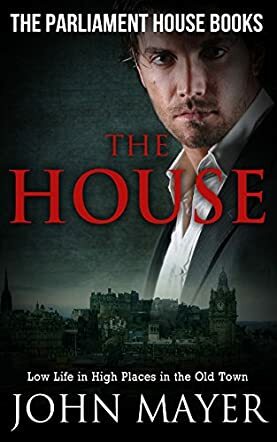 An old enemy, William Randal, the Chief Executive of Glasgow City Council, will stop at nothing to sink McLane and everything that matters to him, but why? It begins with the burning of the old Calton Center, and everything seems to be conspiring to make the plan work. McLane will have to navigate murky and dangerous waters if he stands any chance of saving the community he loves. This time, can his legal expertise, his wit, and cunning give him the edge in a conflict featuring political machinations, religious intolerance, and an old grudge at work? John Mayer creates two strong characters with solid backgrounds and sets them against each other. The setting is exciting and I loved how the author uses elements of culture and religion to enrich the political backdrop of the setting. I was pulled in right from the start of the narrative, thanks to the wonderful prose and the author's gift for narrative. The House is a novel with a strong appeal to fans of legal thrillers. John Mayer gave me the same kind of entertainment I find every time I read John Grisham, and I am left in no doubt that The Parliament House Books will be a gorgeous treat to fans of the genre. The complexity in plot, the fast pacing, the sophistication in character, the intense drama, and the masterly handling of conflict are just a few of the elements that make this story a great read. The writing is stellar and the prose flows with a fluidity that ensnares the reader and keeps them captivated throughout the narrative. There are many surprising twists and unpredictable turns in the plot. It feels real and the characters are likable and realistic, and the entire story feels as though it is happening in real life.